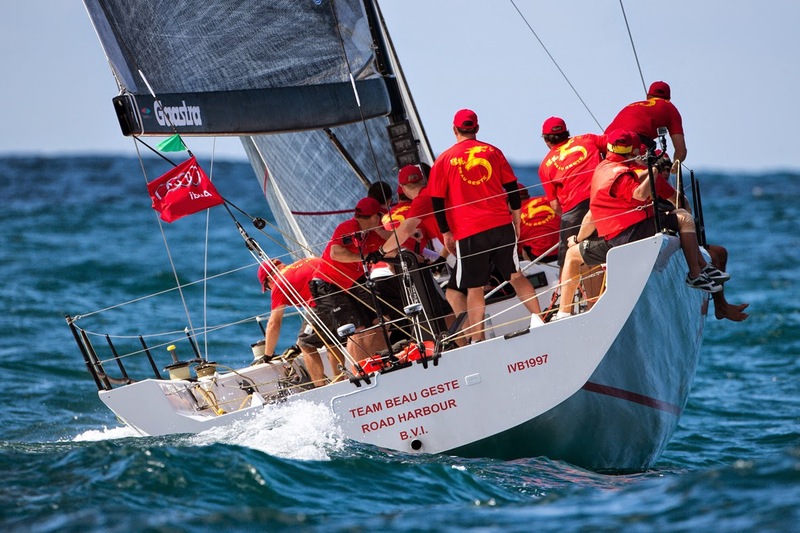 Karl Kwok’s TP52 Team Beau Geste sailing for the Royal Hong Kong Yacht Club with a bunch of Kiwis on board is closing in on Australia’s premier IRC handicap trophy, the Audi IRC Australian Championship. Kwok is keeping a close eye from afar and sends regular messages. When the results came in on day one of 1,2,1 placings Kwok reminded Brady and the lads, “If you aren’t first you are last”, something the ocean racing doyen Syd Fischer said to Kwok after finishing runner up to the former Beau Geste in the 1997 Sydney Hobart. Defending division B champion Bruce McCraken’s Ikon is out of the hunt to take another North Sails’ Audi IRC Australian championship spinnaker back to Victoria with them. It’s been too light for the Beneteau 45 First to mix it up with the two Sydney DK46s that are locked in a duel for top placing. 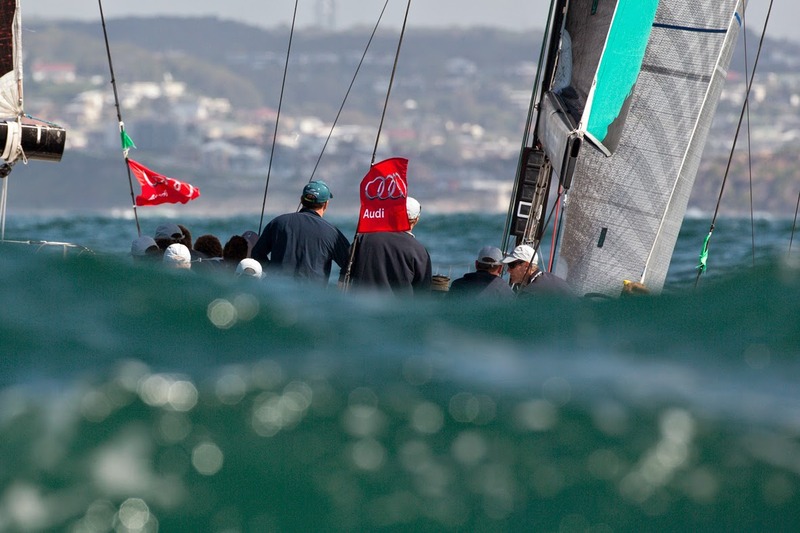 “It’s been a brain-teaser and very light for us, we need a bit more wind,” said McCraken. “The swell has also been challenging, we are used to sailing on Port Phillip which is a flat bay. Tomorrow is a pressure day for us as we try to hang onto third.” Of the 13 Ikon crew eight are directly related, just one of the many boats at the championship competing with family aboard. Bob Cox’s DK46 Nine Dragons and their sistership and Middle Harbour Yacht Club clubmate, Rob Reynolds’ Exile, are just three points apart with two races remaining of the eight race national series. Exile’s navigator Julie Hodder says their approach for tomorrow is “a rum to relax in the morning and then staying focused”. Roger Hickman’s vintage Farr 43 Wild Rose is back on top of the division C pointscore, the old IOR hull preferring today’s swell that didn’t “muck [them] up” as much as yesterday’s lumpier seas. Phil Dash’ Justadash has dropped a pointscore place, now in second, and Ian Bower’s Spirit is still third. 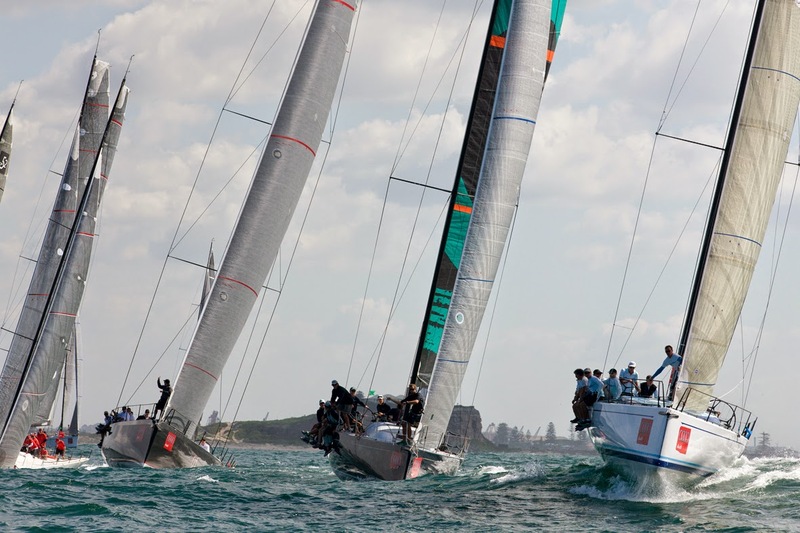 Audi Australia’s association with the 2014 Audi IRC Australian Championship marks seven years of brand support for the premier IRC crown. 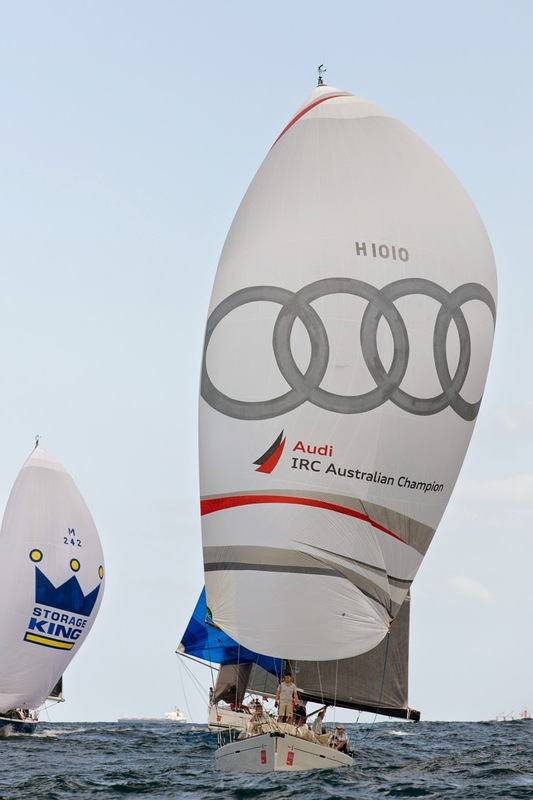 Managing director of Audi Australia, Andrew Doyle, said “Audi is proud of its long association with sailing and the Audi IRC Australian Championship event, now in its seventh year. It’s a highlight in our sailing sport program and demonstrates our long-term commitment to sailing in Australia. 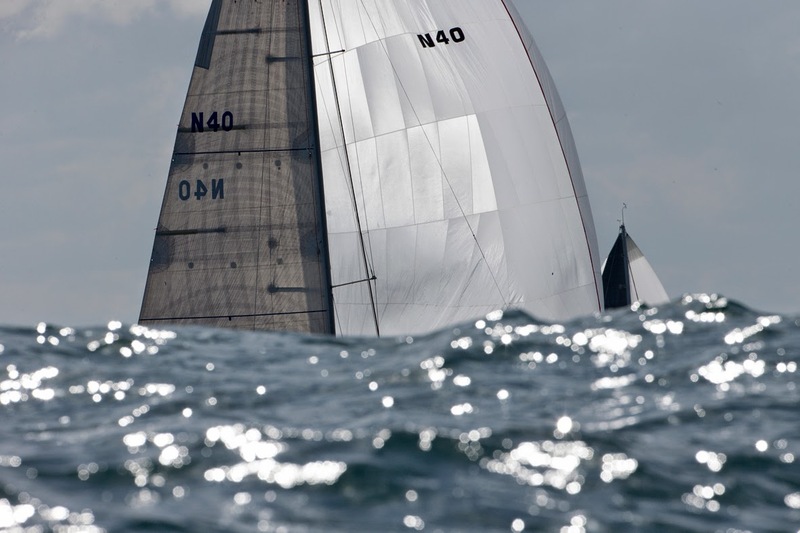 Racing on finals day tomorrow, Sunday April 20, has been brought forward to a 1030hrs start with a short course race then a special course for the championship decider.